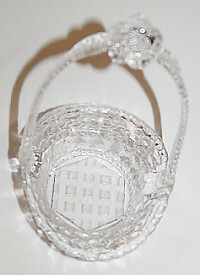 White Mini Favor Basket. Great for Weddings and Baby Showers. Approx. 2 inches tall x 1.5 inch base.